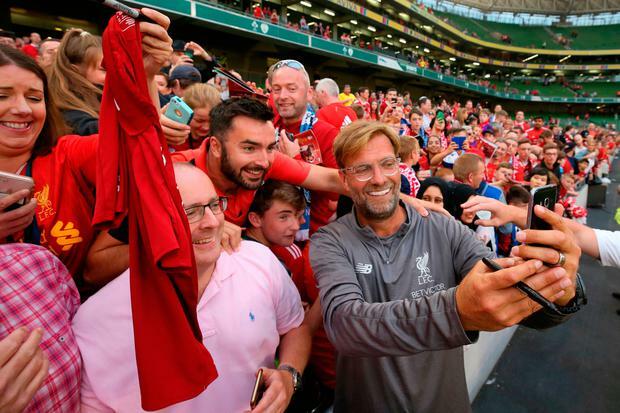 Liverpool face potential defensive problems ahead of Sunday's Premier League opener against West Ham United, with Virgil van Dijk and Joe Gomez their only senior centre backs fit and available, manager Juergen Klopp said. Joel Matip (hip) and Ragnar Klavan (hamstring) both missed Saturday's 5-0 thrashing of Italian side Napoli due to injuries and are doubtful for Liverpool's final pre-season match against Torino on Tuesday. "Joel, we'll have to see. Klavan, shouldn't be too serious, but if Tuesday is too early I don't know yet," Klopp told the Liverpool Echo. "Dejan didn't train so far. He probably won't play Tuesday and Sunday will be very difficult as well," Klopp added. "The first two league games at least are in the 'pre-season' (for the World Cup players)." "The league will be difficult," Klopp said. "It is not about judging our situation and thinking 'wow, really good'. "We need to be ready each week, not only for a few games. That is our challenge." Eamonn Sweeney: Who will be the first to crack under the twin burdens of responsibility and expectation?